Drum pulper can break down waste paper fibers without chopping waste debris and producing fine fibers. 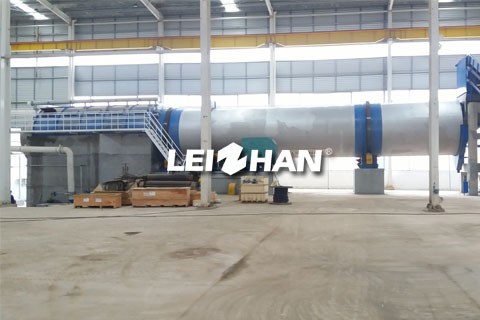 It can also used for coarse screening of waste paper pulp.In this process, it can remove impurities such as plastic, tape, foil and hot melt adhesive under high concentration conditions without loss of fiber. The drum pulper consumes only 15-20kw power of per ton. Its energy consumption is only higher than the general drum pulper. This reduces the company’s electricity consumption and costs. Low loss rate. Low-grade waste paper can be treated under a high concentration. Drum pulper can also deal with unpicked waste paper, can save a waste paper selection process. Due to the strong chemical action under high concentration conditions, ink particles sufficiently separated from the fiber surface. Therefore, drum pulper reduces the consumption of chemicals and shortens the processing time, thus achieving a higher deinking effect. Drum pulper is equipped with a filter section, which can discharge slag continuously. And the discharge efficiency is high, which can reduce the burden of the following purification process. The drum pulper only has a few fragile parts, the screen hole is not easily blocked. Low running cost and maintenance cost, long service life.